Note: This isn't a game. 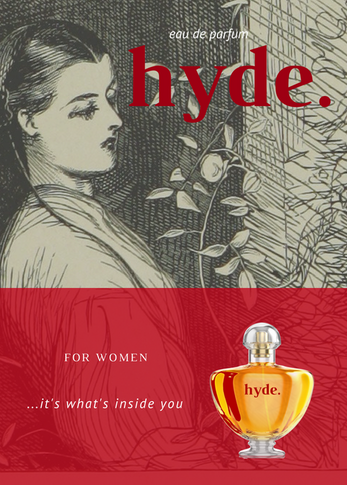 Two magazine adverts. 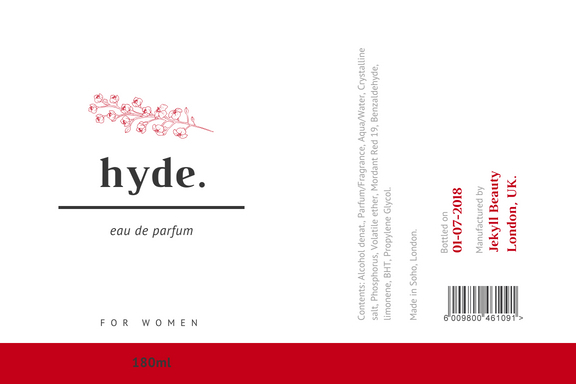 One from 1886 (which appeared in "Fine Lady Magazine"), and another from 2018 (kindly provided by the marketing team at Soho based Jekyll Beauty). 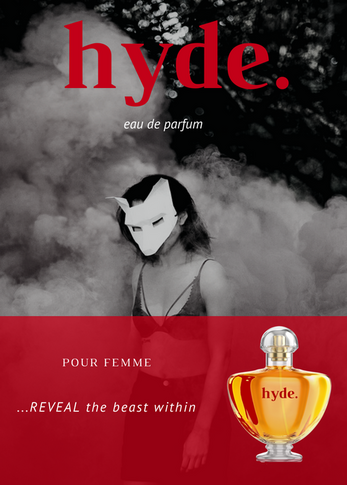 It's interesting to see how the tag-line and therefore the whole brand focus changed over the years, with 2018's advert taking on a much darker angle. 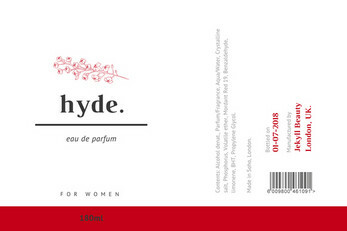 The label design for a special edition fragrance bottle due to be released late 2018. 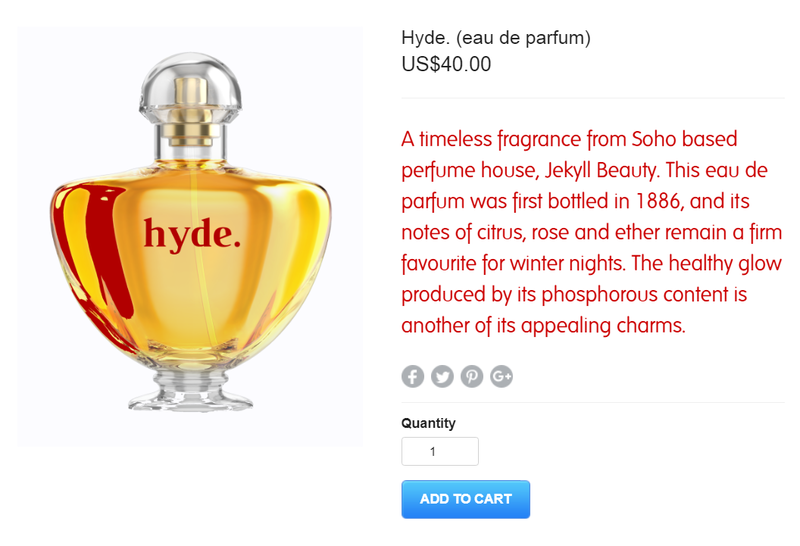 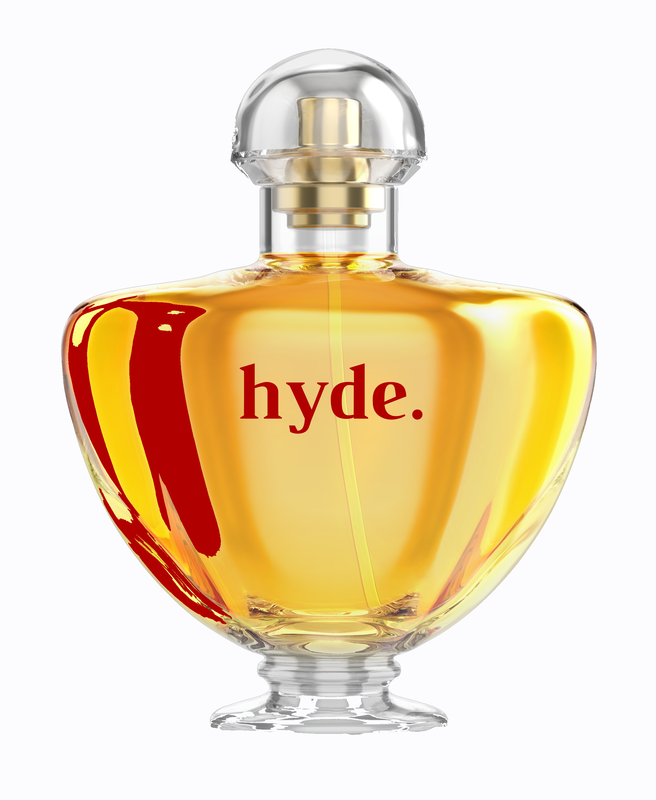 The Hyde product page on Parfum Est Bon website. 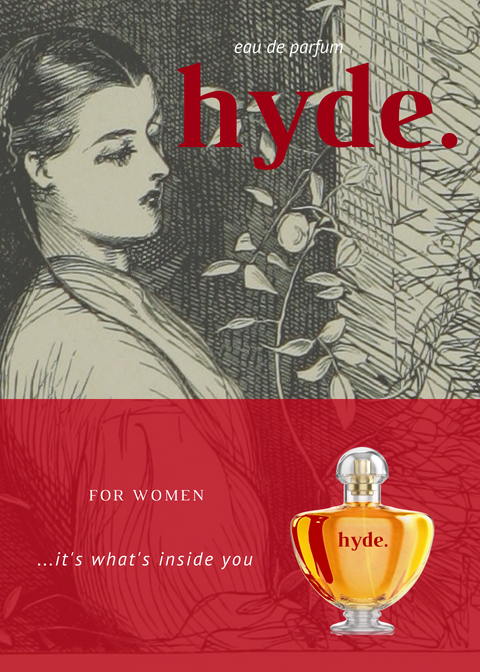 Created for Gothic Novel Jam - inspired by Robert Louis Stevenson's The Strange Case of Dr. Jekyll and Mr. Hyde.